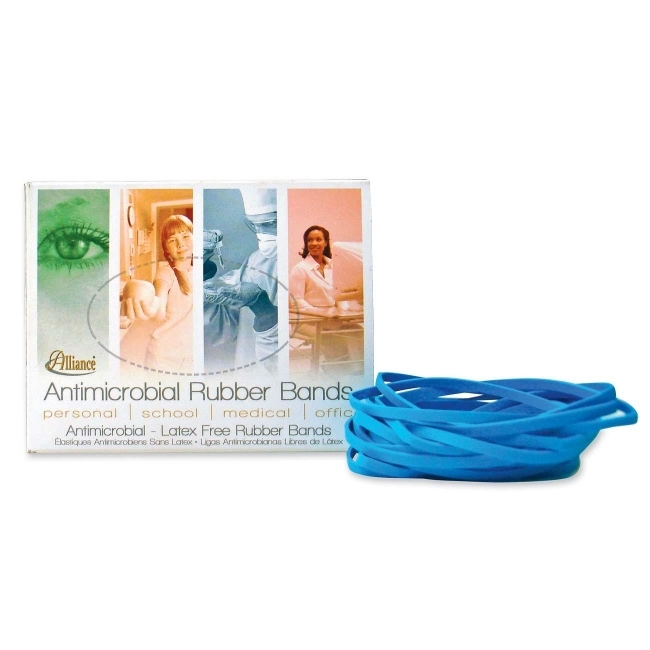 Latex-free rubber bands feature an antimicrobial compound that inhibits the growth of microorganisms and protects the product from contamination. Does not protect from foodborne or disease-causing microorganisms. 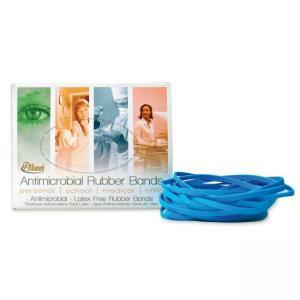 Rubber bands contain no natural rubber proteins and are 100 percent latex-free. Consistent, high quality rubber bands offer excellent band count per pound and soft stretch for stress-free application. Rubber bands are also biodegradable and sustainable.